Lots of adults can recall being spanked as children. In fact, international data suggest that most kids have been spanked, close to 300 million worldwide ( UNICEF , 2017). Spanking has been defined as open-handed hitting that does not injure a child and is typically done with the intention of modifying the child’s bad behavior (Gershoff & Grogan-Kaylor, 2016). Spanking as a parent’s main form of punishment was common for decades or even centuries and was based on the rationale that being spanked isn’t harmful to children, and that it can, in fact, be beneficial by helping change children’s bad behaviors. After years of commonsense appeal, ideas about spanking have changed dramatically in the past two decades. In 1998, the American Academy of Pediatrics (AAP) wrote a statement for the first time discouraging parents from spanking their children as a method of punishment. This month they’ve updated their policy again, now recommending that parents do not spank their children at all. In countries that have a complete ban on corporal punishment (spanking and slapping), the rates of physical fighting among teens are as much as 69 percent lower than in countries without such a ban, the study found. Why the change? Before the 1990s, physical punishment was the accepted method for disciplining children around the world and was generally thought of as distinct from physical abuse. Around that time, research suggesting that physical punishment had negative consequences for both children’s behavior and their emotional health started accumulating. Now, the research overwhelmingly confirms these early findings, leading to the AAP’s change in policy. Two important findings have guided these policy changes. First, research suggests that spanking isn’t actually effective in stopping children from engaging in disruptive behaviors. In terms of getting kids to do what you ask them to in the short term, spanking might cause a problem behavior to stop momentarily, but it is no more effective than other non-violent methods, like a timeout. Most importantly, in the long term, spanking is associated with less compliance than other forms of discipline (Gershoff, 2013). Spanking likely doesn’t work as a form of punishment because it causes physical pain, leading to fear and confusion in children, which could, in turn, interfere when the child is trying to learn the rule or message that a parent is trying to convey (Gershoff, 2013). Further, when spanking is used to get children to stop behaving aggressively—to stop hitting other kids for example—it is not only ineffective as a method of punishment, but it actually backfires . This leads us to the second important research finding that led to the AAP’s new policy: Spanking has been linked to increases in negative behaviors such as physical aggression. In a large meta-analysis of 14 different studies on the effects of spanking on children, researchers found a consistent relationship between spanking and aggressive behavior (Gershoff & Grogan-Kaylor, 2016). You could argue from some of this research that spanking doesn’t lead to aggression, and instead, that aggressive kids are just more likely to be spanked. However, another long-term study of over 12,000 children across the country reported that children who were spanked at age 5 were more likely to act aggressively at ages 6 and 8. This study suggests that spanking precedes the aggressive behavior problems seen in children. Further, these researchers controlled for the number of behavior problems children had, meaning that the link between spanking and aggression was independent of whether or not the kids were particularly difficult or defiant (Gershoff, Sattler, & Ansari, 2018). Role model good manners at all times and ask for them in return. Good manners often diffuse conflict situations. Why does spanking lead to more aggressive behavior? The answer is simple: By watching parents hit, children are likely learning that hitting is an acceptable behavior and a permissible form of punishment. On top of that, we already know from more than 50 years of research that watching others behave aggressively can cause children to behave more aggressively as well (e.g., Bandura, Ross, & Ross, 1963). So despite the fact that it took a while to get here, perhaps these findings shouldn’t be very surprising. On top of leading to more aggressive behavior in children, spanking is also associated with more mental health problems, lower self-esteem, cognitive difficulties, and with more negative relationships between children and their parents (Gershoff & Grogan-Kaylor, 2016). Harsh corporal punishment has even been associated with problems in brain development (Tomoda et al., 2009). Yelling, verbal abuse, or shaming have been associated with similar outcomes. Based on this research, like the AAP, policy-makers from around the world are also changing their views on spanking. Only a few days ago, French parliament members voted overwhelmingly in favor of a bill that would ban parents from smacking their kids. Very recent research has suggested that policy changes banning corporal punishment have been associated with positive changes in children’s behavior: In a study that documented children’s behavior in 88 different countries after corporal punishment was banned, researchers reported that these bans were associated with less frequent physical fighting in both adolescent girls and boys. Countries that banned corporal punishment in school but not in the home showed some lessening of physical fighting in children, but only in girls (Elgar et al., 2018). Although this research suggests that spanking is not an appropriate form of discipline, there are alternative methods for modifying children’s bad behavior. The AAP is encouraging forms of discipline that include rewarding positive behaviors, and removing rewards as a main form of punishment. For example, refusal to eat dinner could result in the loss of dessert. Likewise, grabbing toys away from a sibling could result in the loss of those toys. 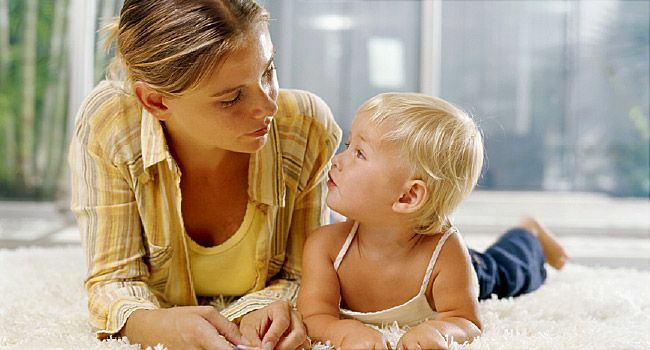 Some parents use time-outs, isolating the child from a desired activity for some period of time, while others are now using time-ins, where the parent stays with the child to talk about his or her transgression. The ultimate goal of discipline is to teach the child something about appropriate and inappropriate behavior, so it is important to be consistent and to follow through so that children come to learn the consequences of inappropriate behavior and start to internalize rules. “So, I think you are saying that having the right, research-based answer in each specific situation is what would make you feel confident.” We criticize ourselves or feel burdened by worry if we don’t get it just right in each situation as parents. Altogether this work has a very clear message: Parents shouldn’t spank their kids. While countless studies now show that physical punishment leads to negative outcomes, not a single study to date shows that physical punishment is associated with anything positive for children (Durrant, 2012). I’ve heard people push back when they hear this, saying things like “I was spanked and I turned out fine,” or “it really depends on the kid.” Sure, maybe some kids who are spanked are fine, and perhaps some kids are more likely to be fine than others, but these arguments ignore a great deal of research demonstrating that a lot of kids who are spanked are not fine. The bottom line is that we now have overwhelming evidence that spanking is not an effective strategy for changing children’s bad behavior, and that it can, in fact, cause long-term damage to a child’s well-being. One final thought: Does the fact that we know now that we shouldn’t spank our children mean that we should hold something against our own parents for spanking us? Not necessarily. When thinking about this question, it’s important to remember that before the 1990s, spanking was the well-accepted method that most parents used to discipline their children. The research that we have now—the research that I’m telling you about here—wasn’t available to them. Unfortunately, science moves very slowly, but now that we have overwhelming evidence that we shouldn’t spank, we can use that evidence to improve our parenting skills. There’s a lot that we know now that we didn’t know 20 years ago — we know that rear-facing car seats are good, putting newborns to sleep on their stomachs could be bad, and that breastmilk is likely better than formula—and we’ll know more 20 years from now than we do today. The best we can do is use the science we have now to help us become better parents. As we learn more, we can do more, and work to create more positive outcomes for our children with each generation. “The microbes that a child is exposed to in infancy can affect the way their immune system develops,” said Dr. Eliane Abou-Jaoude, an allergy and immunology fellow at Henry Ford Health System in Detroit and lead author of the new study.